This Smithsonian award-winning book tells the story of Lootas, a sea otter pup who was born in the wild and orphaned in her first month of life when her mother was killed by a fishing boat in Alaska. She was rescued and hand-raised at The Seattle Aquarium. For six months, the author closely followed marine biologist C.J. Casson and his staff as they cared for Lootas and helped her adapt to her new home and new otter family. Color photos by C.J. Casson and pen and ink drawings by Deborah Cooper illustrate this dramatic story. Lootas is a grandmother now and still lives at the Seattle Aquarium, the number 1 breeding facility for sea otters in the world. A rhyming picture book about a young boy who is inspired to play football after a visit to his school by the San Diego Chargers football team. Full-color photos of San Diego Chargers football players combine with brightly colored illustrations of the story by Sunset Elementary School children. A photo-illustrated biography of Rachel Carson, a scientist and popular writer in the mid-20th century whose pioneering environmental book, Silent Spring, led to a ban on the use of the chemical DDT as a crop spray and helped bring the bald eagle back from extinction. A beginning reader story based on an Inupiat song about traveling by dogsled to the winter hunting grounds when the Arctic Ocean turns to ice. A magical folktale from Thailand about a shapeshifting bird princess whose dream of living in the human world brings her true love and almost costs her her life. Her epic journey is followed by that of her husband, Prince Suthon, who must find his way to the bird kingdom to win her back. Full-color illustrations by Thai illustrator Busara Busard. 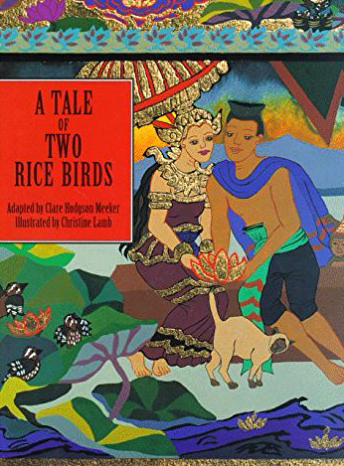 A classic Buddhist folktale from Thailand adapted for a Western audience, two rice bird mates are separated by death and find each other again when they are reborn as a princess and a farmer’s son. A photo-illustrated biography of former First Lady Abigail Adams, the wife of our second president, John Adams, who lived and raised a family in Massachusetts during the Revolutionary War while her husband was helping to form a new congress in Philadelphia. Her letters to John describing the war helped convince the congress to raise an army to fight the British. What happens to the other animals and people on a farm one morning when the rooster doesn’t crow? 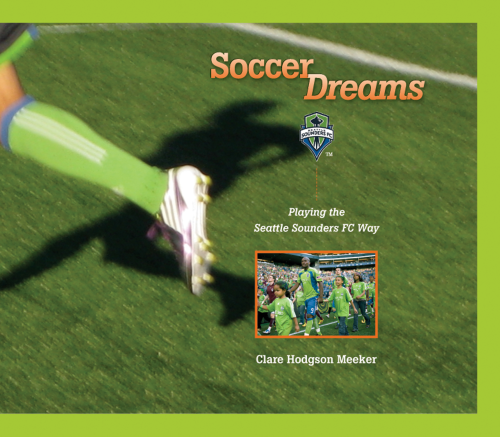 Clare's 24-story magazine series for National Wildlife Federation's “Your Big Backyard” has been republished in ebook form and available exclusively through SchoolWide. Series Summary: Each book presents a seasonal story in which Olive Opossum and Max Mole encounter a different animal in their backyard and help it solve a problem of finding food, shelter or fool a predator. Fun facts combined with a humorous narrative bring these animals and their real-life struggles to life. Check out more about Clare's ebook series here!